Mugler has been trending due to celebrity fans such as Cardi B and Kim Kardashian West. The Mugler brand is famous for legendary looks and newcomer Casey Cadwallader has upheld the standard. 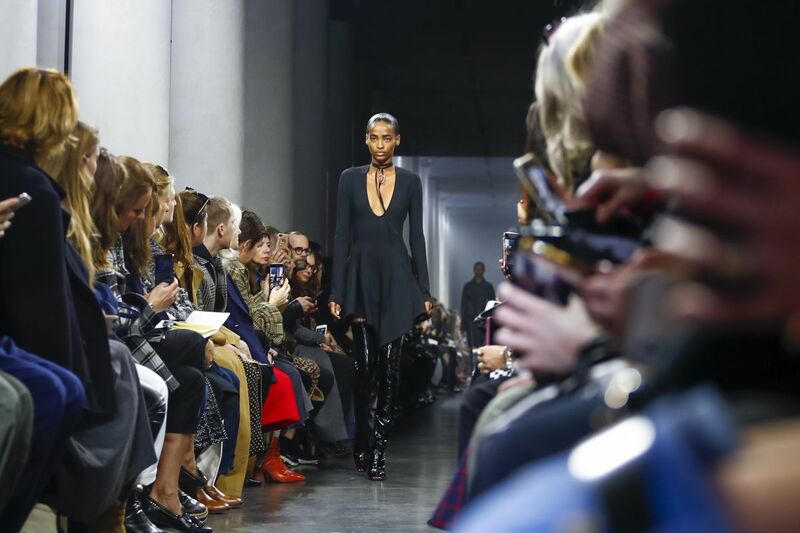 See why everyone desires a ‘Mugler moment’ in this Paris Fashion Week: Mugler Fall 2019 Collection review. Tumblr-esque and trendy, this look captures the gloomy essence of fall. The seemingly sky-high boots have a great, glossy texture and the matte finish of the dress is fun and flowy. Caged in a choker, an amber crystal sits proudly on the center of the collarbone. Faint Harley Davidson imagery charges this look with fuel from the single, large metallic earring, the oversized double-zippered jacket, the fiery animal printed skirt, and patent maroon boots. All of the pieces are statements on their own. Beam me up, Scotty! This thrilling blue dress looks like it’s been teleported straight from the Star Trek universe. Intricate lines stencil shapes that enhance the physique. Once more, Mugler thigh highs, in a mossy green conclude the look. Illusions of billowing smoke glide up this two-piece set. The opacity of the cut-out bodysuit is reinforced by the sturdiness of the high waisted pants. The splitting at the bottom hem is a delicate detail for such a bold look. Mugler hit a high note with this piece, which closed the show. When you first see this dress, the effect is spellbinding. Red tendrils float at the sides as the white base transforms into cross hatch patterns of feline, tassel, and abstract art. All images are from Vogue and NowFashion. If you’ve enjoyed this review, read our latest Fashion Week reviews on Christian Dior, Fendi, and Prabal Gurung. Explore all of Alley Girl’s Fashion Week posts here.